Customer service was/is top tier. Speakers appear to be legit. They physically look great, and have a heavy/robust/sturdy feel to them. The toggle switches are crisp and tactile. There are no flimsy parts on the entire speaker package. Even the magnets that hold the grill on are impressive. I have not supplied an audio signals to the speakers yet, but they are installed and just look fantastic on the wall. Hopefully when I fire them up in the near future (waiting on new receiver), they sound as good as they look and feel. I did a ton of research before settling on these. Touched some other in wall speakers from Klipch and Polk...and the InwallTech speakers appear to be in a different class altogether. 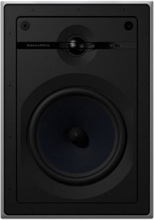 Those Klipch and Polk speakers weighed about a pound and these HD"s weigh 3.5 lbs.